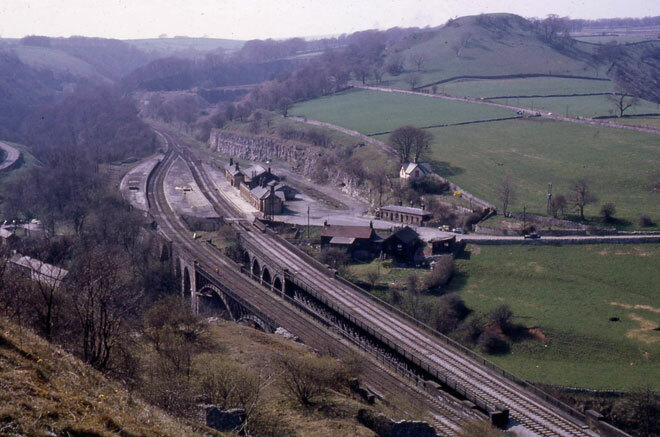 The beautiful upland scenery of the Derbyshire Peak presented a formidable obstacle to canal and railway engineers seeking to link the East Midlands with Lancashire and the Mersey. As a result, the area is rich in transport geography and engineering and full of dramatic examples of industrial archaeology, some preserved or awaiting restoration. This June 2010 guided historical exploration of the transport history and spectacular scenery of the Peak District, included walking tours of sections of the Cromford Canal, the Peak Forest Canal, the Cromford & High Peak Railway and the Midland Railway route through Monsal and Miller’s Dales and visits to the Leawood Pump, Middleton Top Winding Engine, Buxworth Basin and Marple Aqueduct and a diesel railcar tour of the Ecclesbourne Valley Railway. The 56-page illustrated handbook includes detailed historical accounts of the Cromford and Peak Forest Canals, the Peak Forest Tramway, the Cromford & High Peak Railway and the Midland Railway lines between Rowsley and Buxton and between Duffield and Wirksworth, together a chronology of canal and railway opening-dates in the region up to 1899 and a short bibliography. Price £15.00 including postage and packing. Please send a cheque, payable to Mike Higginbottom, to 63 Vivian Road, Sheffield, S5 6WJ. To see sample pages please click here. For further sidelights on locations featured in this handbook, please click here.